One of the effects of the consumerization of technology has been the willingness of people to deploy technology in their everyday lives– at work as much as at home. While the willingness for all but the most extreme technophobes to engage digitally in the workplace is generally held to be a good thing, it also means that the standards of user experience (UX), carefully honed and crafted by skilled professionals working in the consumer sector, are considered the ‘norm’. That aspect of change from the last fifteen or so years has put a great deal of pressure on business application developers. Not only are dev teams expected to produce highly-secure, robust applications that offer the organization competitive advantage, but also, they now have to build consumer levels of interfaces and usability that would happily grace a social platform or travel-booking app. Of course, developers also have many other pressures with which to contend. In the modern business, there are often dozens of apps deployed by different departments, divisions or even working groups formed ad hoc to deal with a specific project– a profusion of solutions which is also a by-product of technology’s consumerization. Organizations of all sizes realize that linking all these discrete applications is the only way to prevent data existing in isolated silos. By interfacing all systems from company-wide ERPs to cloud-based SaaS apps used for a very bespoke function, businesses from start-up to large institution can create massive efficiencies, and a new generation of customer experience – for end-users, partner organizations, customers, service-users and clients. Developers, therefore, have their work cut out. Manually mapping workflows from scratch, then individually mapping data tables and fields, addressing individual APIs, writing bespoke SQL queries to pull and push data– and make an attractive, consumer-type user experience in a mobile app, as well. To help solve this quandary a new generation of low-code, or even no-code software solutions have appeared. These can maximize return on investment in legacy systems, reducing the need for developers to have to concentrate on the technicalities of their work, and instead provide a framework in which powerful applications can be created not in months, but weeks (or days, if some claims are to be believed). For readers of these pages seeking a low-code or no-code solution, we would advise considering the following in choosing any software platform. Solutions should, ideally, be able to effectively map out the workflows of your organization that need to be streamlined and made more efficient, in a way that’s both useful and attractive for dev teams and business experts alike. A simple warehouse-based transactional process may interact with a dozen or so discrete technology instances, but it is the process itself that needs first to be sketched out in software. A service user’s interaction with a large institution, such as a financial concern or local government department, may necessitate entirely different interface touchpoints and a wildly different decision tree. Your software choice needs to be able to abstract both, in the same visual language. Mission-critical systems represent a significant investment, and so have to form a central part of any choice of low-code supplier – the platform needs to be able to address, in the best possible manner, the specifics of your legacy stack. 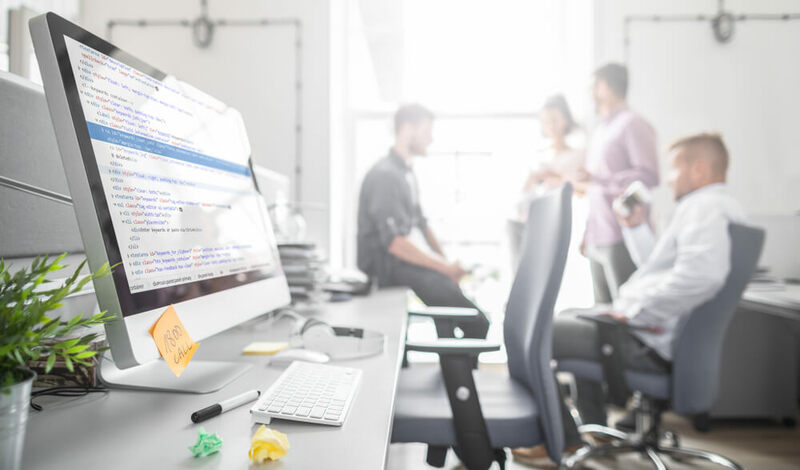 If your organization has Salesforce at its core or a broad-reaching SAP installation, you’ll need to look for expertise in working with these systems – each has its foibles and best practices. Not every legacy platform uses a RESTful API, and some will require specific care. Multiple oData points, SQL instances, ABAP-awareness; these should be catalogued during the initial specification process you will be drawing up internally. Applications need to be able to be deployed at a particular level initially, but they also need to be scalable– there may be licensing considerations here to bear in mind. Some integration platforms are licensed on the basis of developer seats, while some are priced per application integration point, or even on a per-field basis. These considerations will have a financial impact both up front and as a continuing OPEX entry. Despite the protestations of some suppliers, the development function of your organization will, in all likelihood, remain: no-one is as yet consigning your tech teams to the redundancy pile. Even the most GUI-based integration platform will require some degree of bespoke alterations, and the platform you choose needs to be able to provide an interface for this to happen. Ideally, the developer experience (DX) needs to be unified across the different platforms on which you intend to deploy the apps your organization needs. Some ERPs present their own development environments specific to their core– SAP’s Fiori and Salesforce’s Lightning Platform are typical cases. Being able to address these and existing apps written by these means should figure highly in your deliberations. Once discrete applications and their data no longer exist in silos, the security landscape for your organization changes. Any choice of process automation, scripting or interaction needs, therefore, should be considered from the basis of cybersecurity and data governance. Issues of scale also come into play here. As organizations expand, different data governance edicts will come into play. And even at a small scale, by using any platform that exposes data to users in app format, organizations are increasing their attack surface. 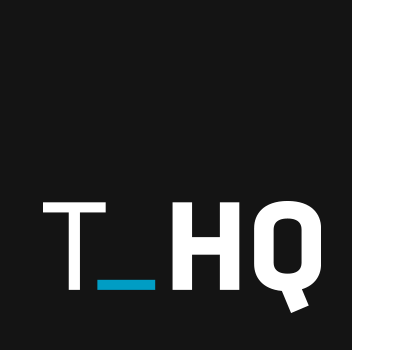 Here are three low-code platforms which we at TechHQ think you should consider. While each is a unique product, they all have at their heart the aim of producing a viable development environment which can create applications that make significant returns on investment – for the legacy apps with which they interact, but also on their own costs. End-users, be they another business, or service-users or customers, will benefit significantly, whether that’s in using a new, powerful mobile app, or via a web-based interface with which to conduct business with you. One of the following, we are sure, will deliver the excellence you seek. Neptune Software is a Norwegian company with offices across the world (five countries) and over two million active users in 36 countries. 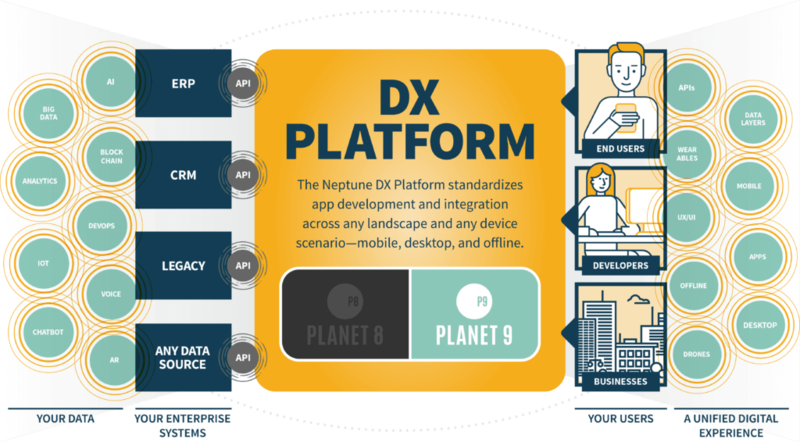 The company’s Neptune DX Platform – made up of 2 core development modules – is heavily oriented towards creating excellence in user experiences on mobile, web and offline environments, and offers solutions to developers that makes the development of attractive and powerful applications swift and practical. The company’s platform modules standardize app development for business use, realizing apps that draw from, and interact with cloud platforms, databases of all flavors, and any API– in fact, just about any systems landscape can be pulled together and presented as a unified entity to developers and therefore, to users of the finished apps. Neptune’s Planet 8 module is a development platform tailored explicitly for SAP users, on any scale including (but not limited to) NetWeaver 7.0, and all the way up to S4/HANA. Massively complex SAP apps can be created, using existing Fiori instances among other options, and extending right across the enterprise and cloud. Its Planet 9 module also extends interoperability to a broad topology suited to organizations of any size. 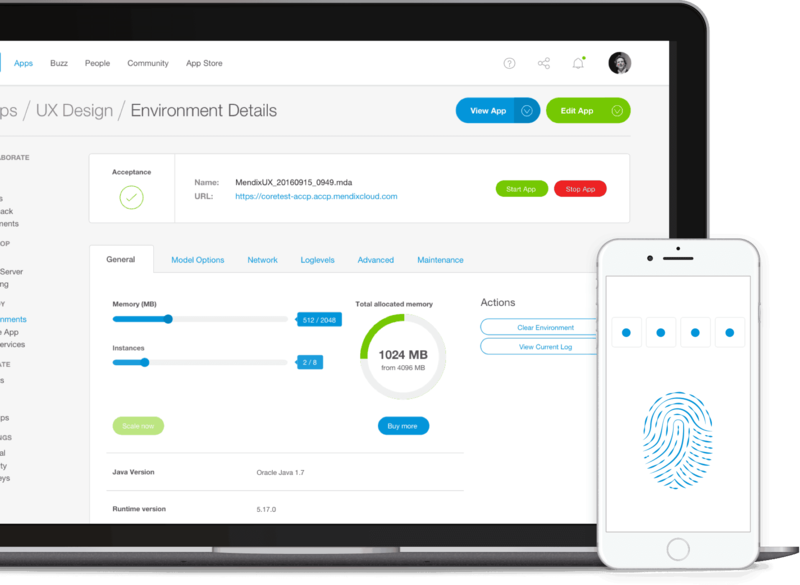 The platform can leverage RESTful APIs for even the most recalcitrant of existing systems, and pull together databases, bare-metal, cloud applications and existing systems – all presented beautifully in consumer-grade user interfaces. You can read more about Neptune Software here. The Boston-headquartered OutSystems delivers low-code web portals and apps. The platform’s environment allows users to define an application’s data model, business flow, system integration and user interfaces for any end-user experience. The platform offers a one-click publishing feature, plus, for swift acceptance into the official app stores, a one-click vetting and submission process for Apple’s App Store and the Google Play Store. In particular, the latter means that users do not have to install potentially volatile package handlers like F-Droid. Applications run in the cloud, on-prem or in hybrid scenarios, and all apps run quite independently from any platform – you’re not tied to a single provider like a proprietary cloud for ever. Dev ops progress of staging, testing and rollout are automated, with full control and visibility into the process as the app goes live. There’s reporting into performance as the new apps are used, so iterations can be released to improve app take-up, acceptance, power, productivity and performance. The Mendix platform provides a space in which a range of the organization’s personnel can collaborate on business application development. Line-of-business experts, citizen developers, management personnel and technical developers come together to create model-driven applications without code. Unifying applications can be built visually, up to and including user interfaces for mobile and desktop applications. Applications can be built on a modular basis to populate public and private app stores, based on components like widgets, templates, components, and microservices. The environment comes with a range of attractive user interface templates which are designed to cover a broad range of business uses, which can either be used as-is or as the basis for bespoke development according to individual requirements. 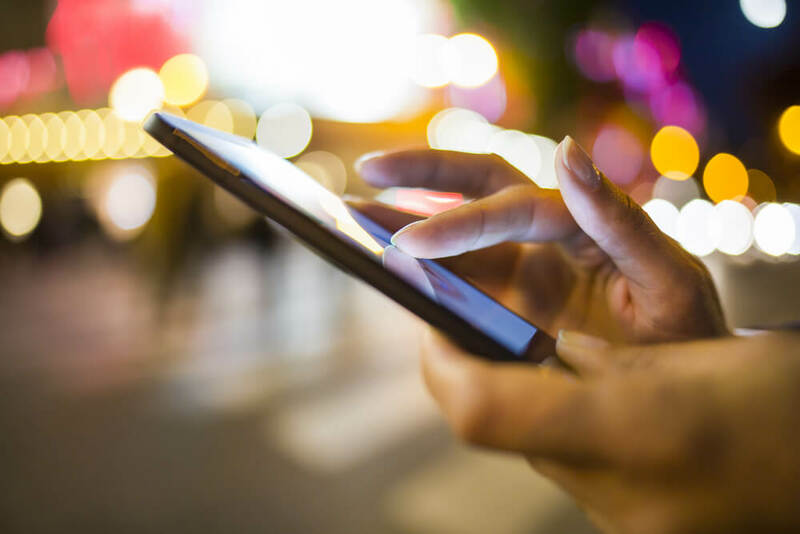 On mobile deployments, in particular, there is full off-line support, with user interface elements like widely-recognized gestures and interaction methods baked into the platform. Applications can be managed centrally, with over the air push updates. Mendix’s platform runs either on-premises, on any private cloud deployment (in the enterprise platform edition), or via the public Mendix cloud.